This is the live demo of Event Script PHP. 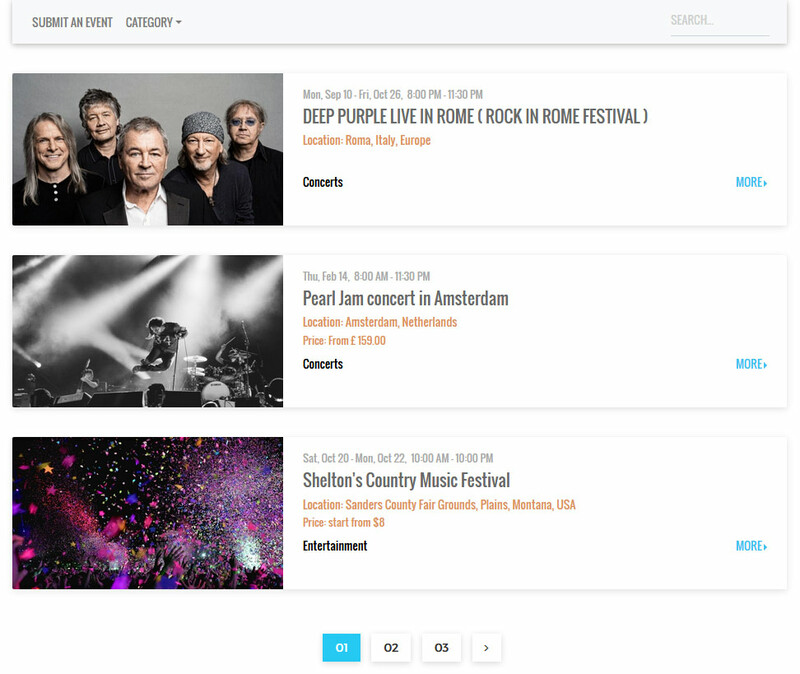 Feel free to submit your event and get an impression of how the script could look like if it's included into your web page. Login admin area and see how to manage events and options. Note that all the events in that demo are fictitious.